Hello again everyone! I hope your 2019 is off to a great start and the year is treating you well. 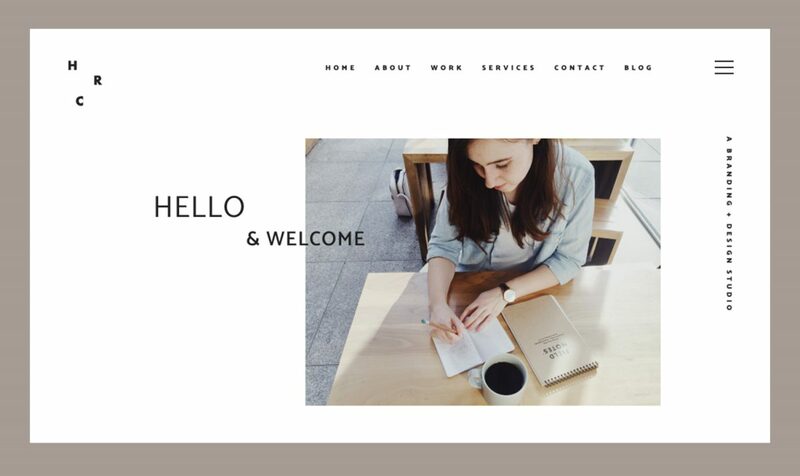 My plans for a short break from the blog ended up extending as several unexpected challenges arose but I’m glad to be getting back to it and so excited to finally share the new Style Bee brand and site with you! This update has been underway for a long time and has evolved a lot since I first decided it was time for some changes. I worked with the incredibly talented Hannah Beasley of Hannah Rose Creative to develop a new brand identity and space that feels fresh, inviting, contemporary and open. I’m delighted with how the final iteration has come to life and there are lots of new things to check out. 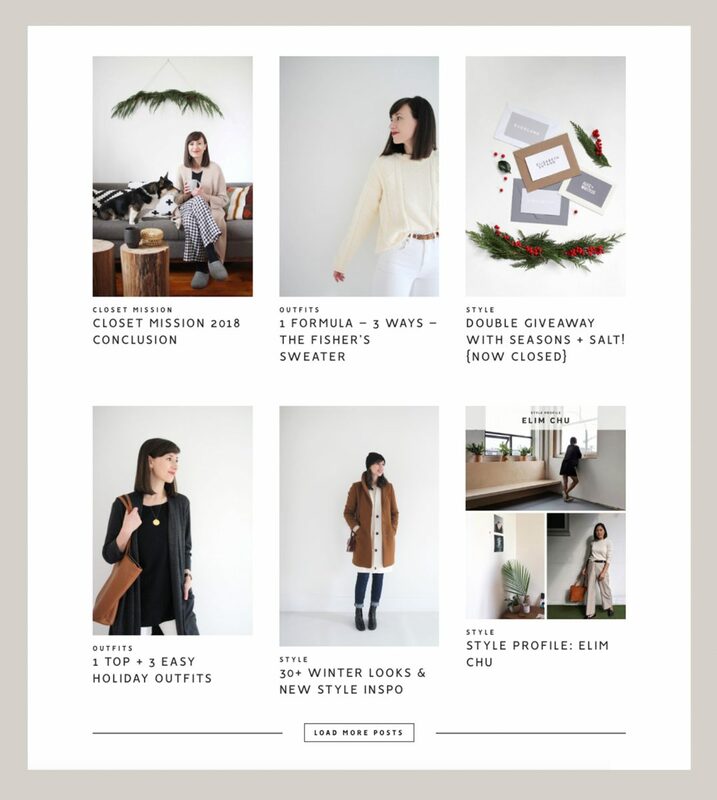 So let’s take a little walk through the new Style Bee, shall we? 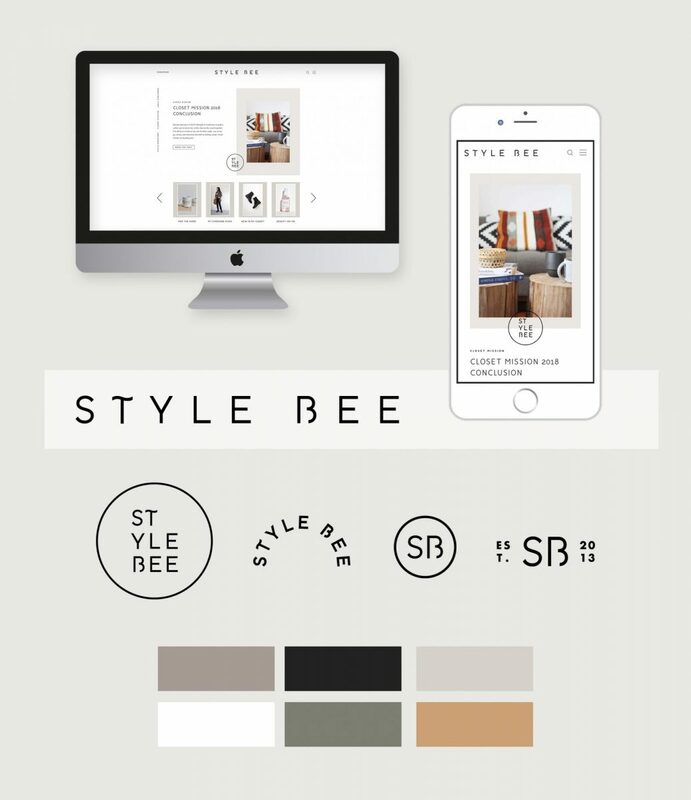 The home page is fairly self explanatory and essentially highlights all the key sections and elements of Style Bee. You’ll always find the latest post right at the top. 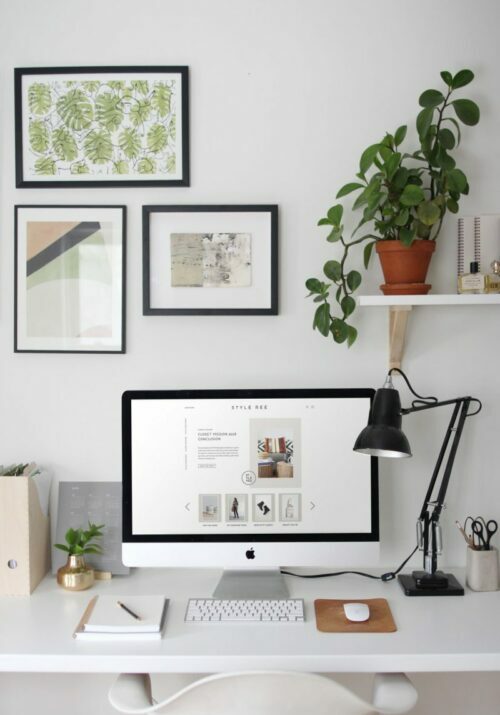 Below this section you’ll find a little carousel of featured items and links that have caught my attention or that I think you might enjoy exploring. This will be updated frequently. Beneath that you’ll find more of the latest posts and can simply ‘load more’ to your heart’s content. If you’d prefer to jump directly to a catalogue of all posts in chronological order you can bookmark this page. Beneath the latest posts you’ll find some of the most loved posts from the last couple of years. This section will be updated with time as new posts jump up the ranks to earn a spot. Now let’s peek at some of the new and improved sections on the site. 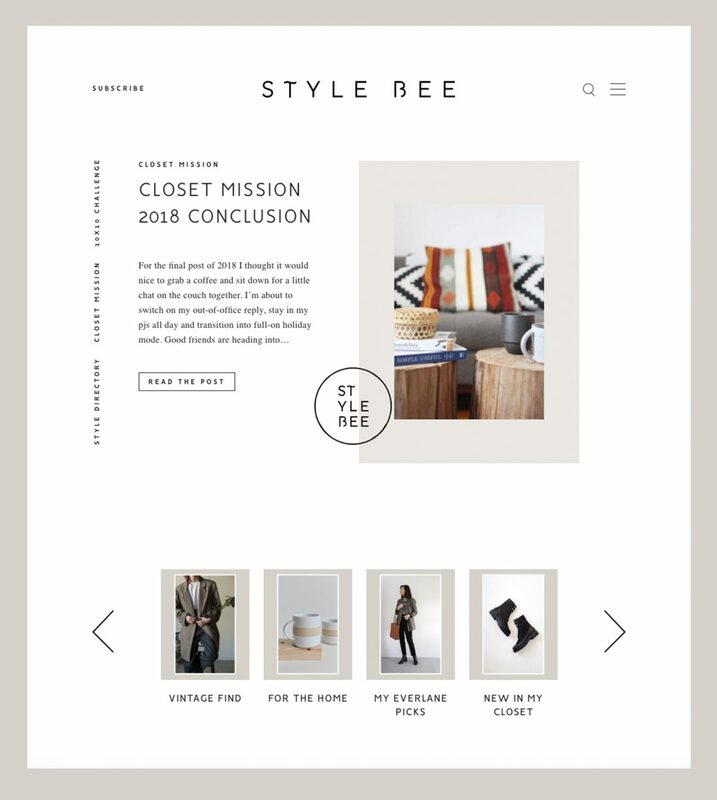 One of my top goals for the update was to make Style Bee a more resource focused space, rather than simply an ongoing style journal. For too long the Closet Mission section had been lying dormant, yet, it’s one of the first places new visitors tend to explore. There were literally years of exercises, tools and worksheets just sitting around! 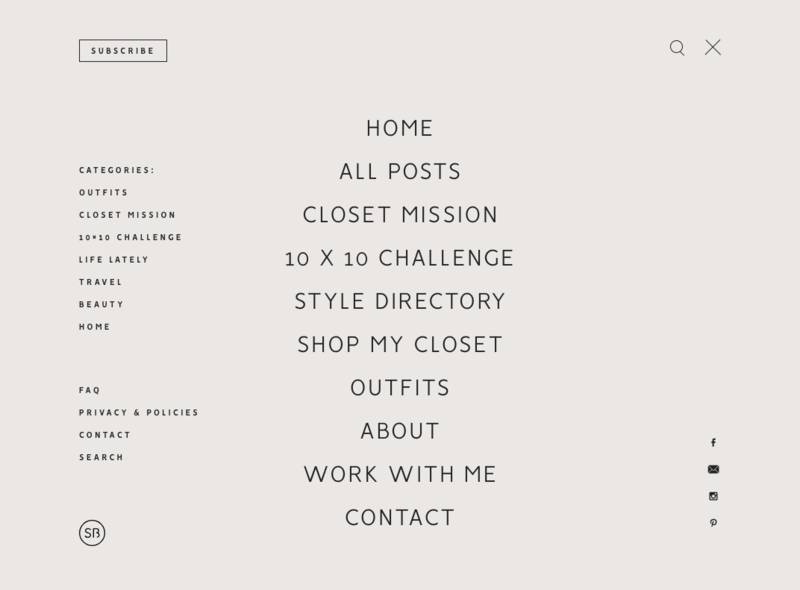 So we created a new home for all the essential steps to help folks on their own Closet Mission adventures. The page begins with where I started out with some bad shopping habits and how a few simple goals evolved into an entire lifestyle change. Then it gets into all the exercises I’ve developed to help in the process. The Define + Streamline Toolkit covers all 8 steps but those interested in taking it slowly can explore each topic individually. 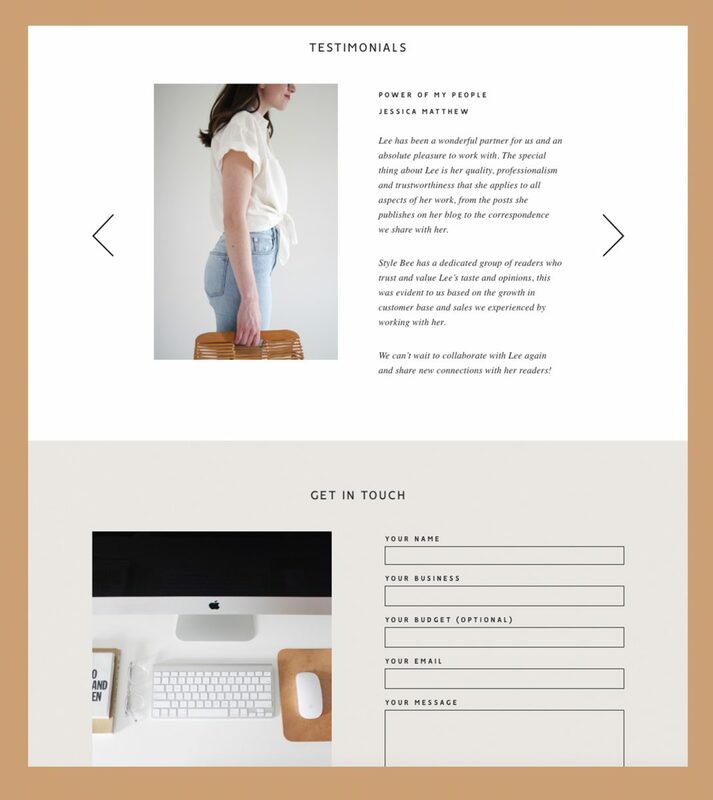 This page is probably my favourite update to the Style Bee site! 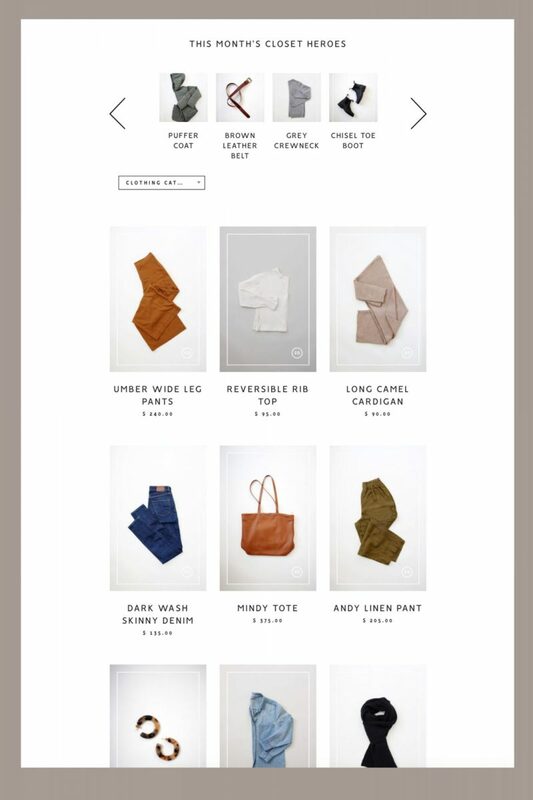 Being one of the most visited resources, I wanted to make the Style Directory (formerly Where to Shop Responsibly) a more visual space with categories that visitors could manipulate and explore. Here you’ll find my favourite brands and shops for thoughtfully made goods that stand the test of time and answer a need for both elegant design and real functionality. Right now the directory includes about 40 of my personal favourite brands and shops but I’ll be expanding it more and more. You can search the style directory by brand category (clothing, home goods, swim, footwear, jewelry etc. ), location (Canada, USA + International for now), and price point (under $100, under $200 etc.) to help you isolate what you’re looking for. I’ll be continually adding to this directory, so be sure to check back often! This resource has been a frequent request for several years now and we finally made it happen. 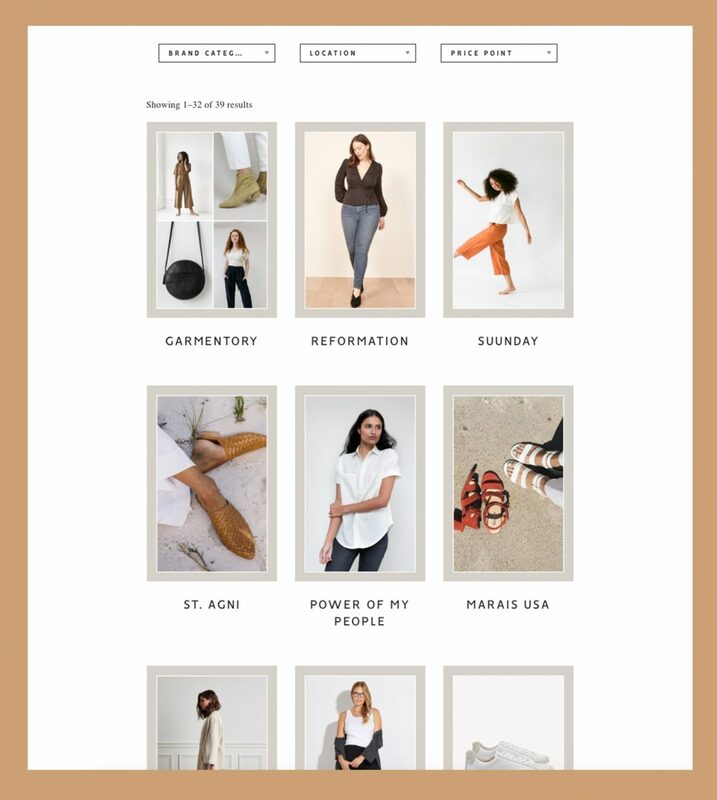 Initially I’d struggled to find a way to compile all my pieces from both affiliate partners (ie: Everlane) and non-affiliate brands (ie: most indie brands like ES and J+J) but Hannah created a custom shop space for me! Right now you’ll find all the pieces I love to wear throughout the winter season including boots, coats, accessories and bags (about 65 items). Soon I’ll be adding my spring closet with summer and fall to follow so be sure to check back often! I was initially hesitant about sharing my closet so openly. I didn’t want it to seem like a brag fest or imply that any one needs all these items. Nor did I want to open myself up to criticism surrounding minimalism and the subjectivity of what a lean wardrobe ‘should’ be. But after a lot of consideration I realized that I would have LOVED to see this kind of resource when I was starting out on a more mindful shopping path. So I hope this item library will help you to plan your own closet, see what I’m working with and gain new inspiration for your personal style! Then we’re onto a new and improved 10 x 10 Challenge section, which will provide any one who might be new to the concept with all the information they need to give it a try. I love how this page walks through the details of the exercise in 6 simple steps. 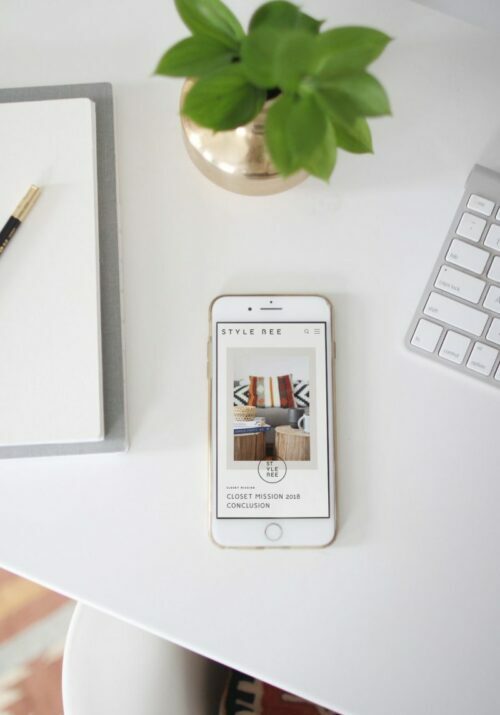 For brands interested in partnering and collaborating with Style Bee there is now a specific page where you can submit your information, see about the brands I’ve worked with and learn what some of them had to say about their experience. While I don’t share my media kit unless I believe we’d be a really great fit, I do try to review all inquiries and take each one into consideration. You’ll find the full menu and search field in the top right hand corner. The menu covers all key pages and categories along with some other important information like frequently asked questions along with privacy and policies. You’ll also find the subscribe button at the top left and bottom right of each page. If you haven’t already, I would love if you’d join the mailing list and that way you’ll never miss a post! 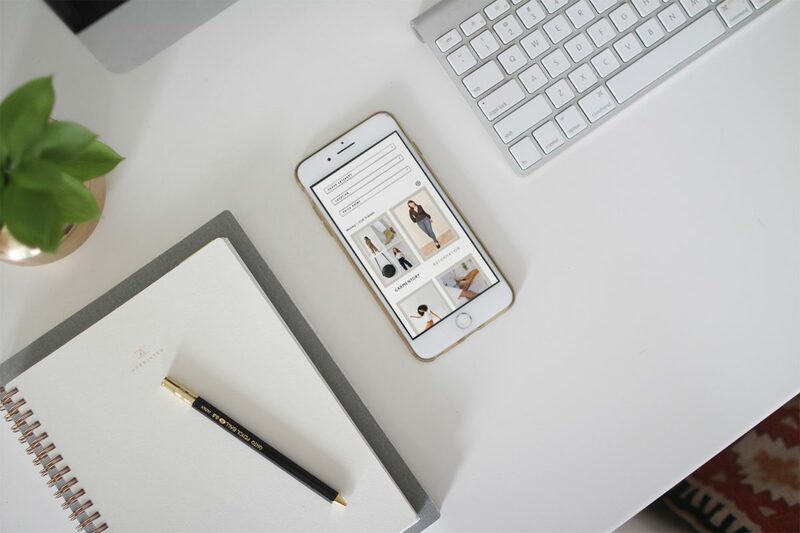 As I dial back my use of instagram this year, subscribing to my newsletter is definitely the best way to keep up to date. Emails only go out when there is a new post! Finally, I’ll just share one more shout out to my amazing designer and developer Hannah Beasley. I cannot even begin to tell you how integral Hannah was throughout this process, from interpreting my ideas, to creative conception, to brand strategy, right through to development and execution. When we hit some major hosting and server hiccups she handled everything with ease. Hannah is always on point with her suggestions, at the ready with solutions and no detail seemed too minor for consideration. If you’re looking for a designer, developer, brand strategist and all-around great person to work with on your business, Hannah Rose Creative has a glowing recommendation from me. Thank you so much Hannah! Well, that’s about all the key info I wanted to share about this big update! Feel free to explore a bit and play around. I really hope you’ll find the new site helpful and intuitive. I’d love to hear what you think, if there is anything else you might find useful or if you run into any issues. Thanks so much for your readership and patience while the site was under renovation. I hope you love the new Style Bee as much as I do! Have a great weekend and see you again soon with new style posts and lots more! This is just lovely, Lee! I am excited to see your closet as a whole (I am in the process of deciding what to keep in my own after three kids and two pregnancies in the last four years), and I’m always excited to have a chance to shop sustainable and ethical items that have been pre-loved. Cheers! Hi Lee! Welcome back 🙂 You have definitely been missed! I would love to hear more about your IG MIA, by the way. I love your new look and I am looking forward to reading more of you! Congrats on the redesign! Looks lovely and very “you”! Congrats! I know how much time, effort and patience goes into developing new platforms. It looks absolutely amazing. Really excited for you and looking forward to following your next steps! I think the new website looks very fesh and clean, i’ve been dropping by frequently during the ‘rebuild’ to make sure i don’t miss when you’re up and running and i have not been disappointed! 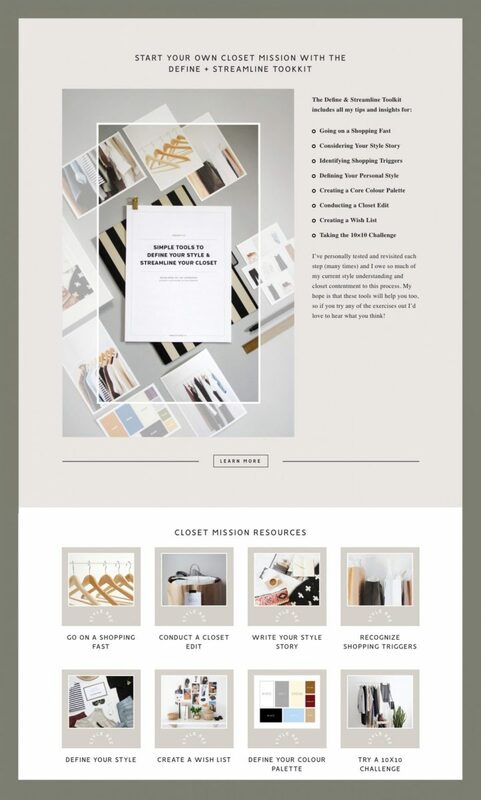 I’m not trying to be that awful know-it-all person that points out any minor errors, however i couldn’t help but notice that both on the screen grab and on the page itself the title header reads “Start your own closet mission with the define + streamline tooKkit” – it just jumped out at me, i wasn’t looking for things to be critical about, and with the work that you’ve done already and how fabulous it is i feel really mean highlighting it. Love the redesign! You put so much thought into the details. I’m planning g to set aside some time to really go through it, and enjoy all it offers. Understand your hesitation of featuring your closet pieces, but SO happy you did! 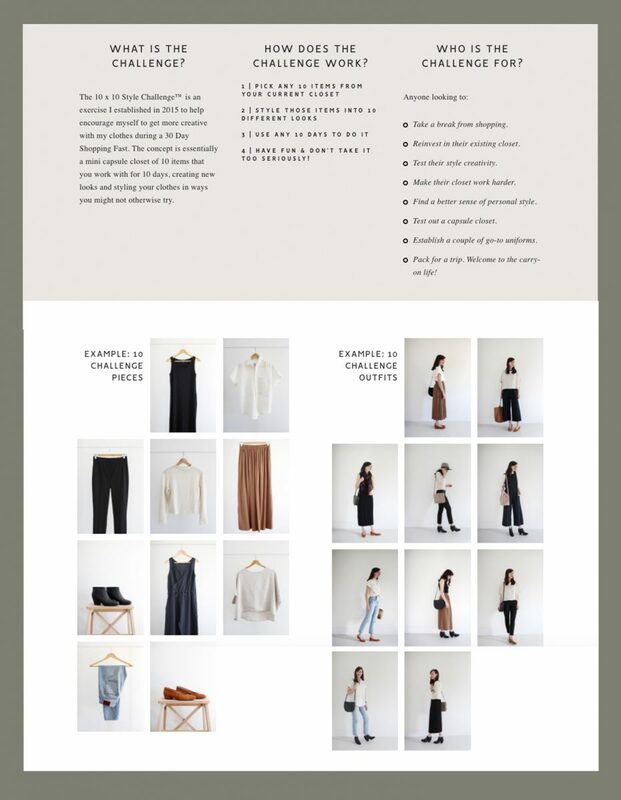 You have inspired me with your style and sustainable choices – I am loving this section as a quick reference. Thanks for all of it! And congratulations on the new look! Everything looks beautiful! So glad you’re back. Your new websites content is terrific! Your content on your posts are very detailed with great information. My only concern is the font size and colour. Designers today tent to use a grey font that is small in size. Anyone with a visual impairment like myself will have a challenge reading your text. Looks great! I am so happy that you are back. A big yes to Shop My Closet. I have already bought a few pieces that I saw on your blog so now it will be even easier. Congratulations, Lee! The new site looks fresh, yet grown-up and so inviting. I only meant to stay for a quick look but can’t stop exploring. Lee – The new website is stunning. Kudos to you for being true to yourself and creating something of such value and meaning! This was worth the wait. XO. Congratulations, The site looks amazing!! As many have already commented, so happy to see you back 🙂 Your personal style journey has inspired me over the last several months. The updates look absolutely brilliant Lee! I can’t wait to have a proper look around! Style Bee & Hannah Beasley: over-the-top team work! Congratulations! Powerful. Insightful. Clear. Transparent. Guide to Style- Discovery about ourselves & More. Best Resource ever. SO succinct! No more do I have to-save-to-home screen! All in one clarity! You did choose a major designer! Thank you! Truly Grateful for your excellence, willingness to put it out there fearlessly, and be a leader helping others step by step. Yay! You’re back. I had come around the other day and noticed the site was under construction. I love the new design and the way you’ve highlighted certain features. Congrats on the revamp! YAS to ‘Shop my Closet’ !!! I get your hesitation about it, but I have been dying for a savvy blogger to do just this so THANK YOU for taking the plunge! Love, love, love the new site! Looking forward to the upcoming 2019 content! It looks great, Lee! Thank you for making the decision to open your closet. I’m sure we will all find it very inspirational. I kid you not – I’ve been literally checking the website EVERY day to see if it was online already 🙂 It’s been so worth the wait – looks amazing! First, welcome back! I know your dedicated readers have missed you! Now to the redesign. It looks great and your thought process for nav and continued use or evident, as usual. Thanks for always thinking of your readers and now onto Spring! Gorgeous redesign! Excited to explore all the different areas of the site. Well done, Lee! Looks great! Any chance you’ll make the font a bit larger? I found it a challenge to stay engaged with this post due to the small font size. Thanks for the feedback Joni! Great suggestion. I will be more than happy to pump up the font size. I just want to second the request to up the font size (maybe especially for mobile?) It’s very tiny and I’ve got young eyes but it’s still tough to read continuously on my phone! I love the new breakdown of sections! The guides, the tools, etc. I also think the shop my closet thing is brilliant, since I’ve definitely de facto done that a lot in the past.